ISSAbove – Worldwide Map outgrows Google Maps. We now have 312 ISS-Above locations worldwide – and that is 12 more locations than are allowed on a the free Google Maps system. Here is the latest map showing how far the ISS-Above has reached. Note: The locations shown have had a random “fuzziness” factor applied to shift their location up to a couple of miles away from their actual location (this is for privacy reasons). Kickstarter Update – Tweeted for all Non-Reward backers. Although every one of the physical Kickstarter rewards were shipped months ago – I am embarrassed to admit that I never got around to sending the Tweet messages I promised for all non-physical-reward backer levels. 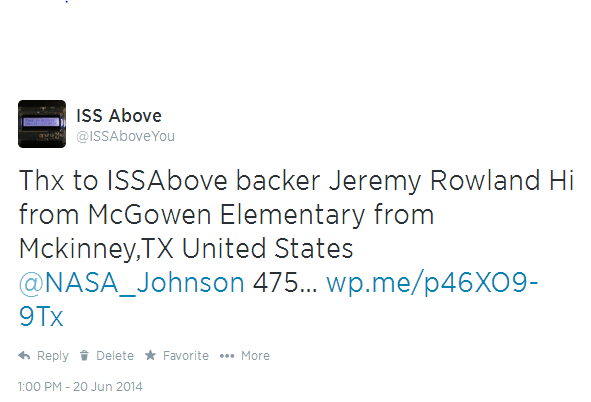 For all non-physical reward backers I promised to send a tweet on your behalf via the @ISSAboveYou account when the ISS passed over your location. To do that I needed to develop a special program that would handle this. 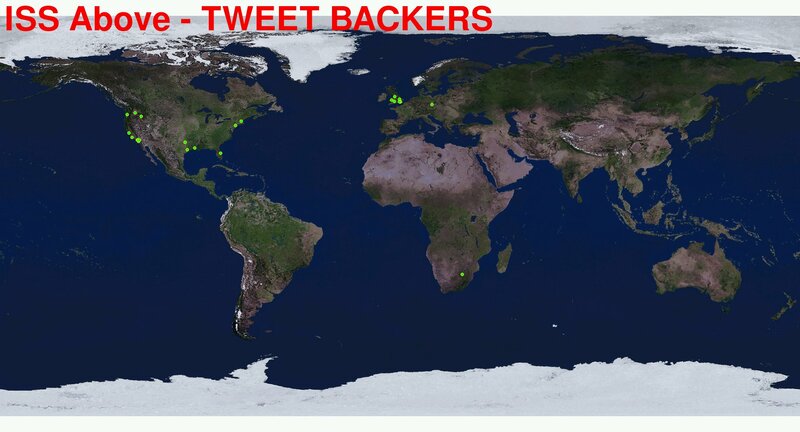 I did that a few days ago – and ever since then I’ve had one of my ISS-Above’s here running the code and dutifully sending the tweets whenever the ISS passed by their location. It has been a lot of fun to see these tweets going out. 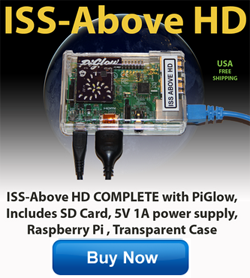 Thanks to ALL the backers of the ISSAbove Kickstarter.